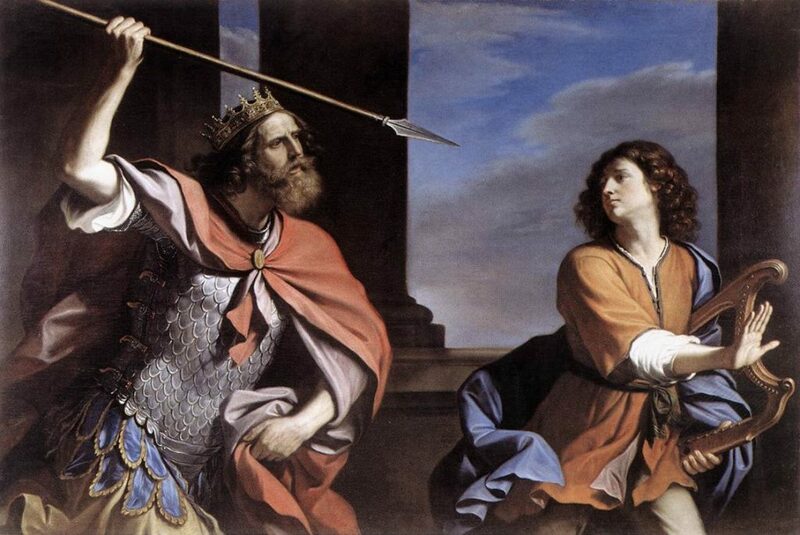 IN today’s Mass readings (liturgical texts here), King Saul was enraged with jealousy by all the admiration that was being given to David rather than to him. Despite all promises to the contrary, Saul began hunting David in order to kill him. Afterward, however, David regretted that he had cut off an end of Saul’s mantle. He said to his men, “The LORD forbid that I should do such a thing to my master, the LORD’s anointed, as to lay a hand on him, for he is the LORD’s anointed.” With these words David restrained his men and would not permit them to attack Saul. David is filled with regret, not because he particularly admires Saul, but because he knows that Saul was anointed by the prophet Samuel, under God’s direction, to be king. And even though David was tempted to strike God’s anointed, he humbled himself before the Lord’ choice, before God’s anointed one. As such, the office of Peter and the one who holds it, deserves the appropriate honor. But also our prayers and patience for the man who occupies that seat, because he is fully capable of sin and mistakes like the rest of us. We need to avoid a kind of papalotry that canonizes the Holy Father and raises every word and opinion of his to canonical status. The balance comes through a solid faith in Jesus. It is a matter of respect. Your biological father may be an alcoholic. You don’t need to honor his behavior; but he is still your father, and therefore, his position deserves proper respect. This is not to say that one must remain subject to abuse or an abusive situation but rather to honor one’s father in the best way possible, whether it is through prayer, forgiveness, and even speaking the truth in love. At Judgment, he will have to account for his actions—and you, for your words. Cardinal Müller (previously of the CDF) has vocally criticized bishops who have given Amoris Laetitia a heterodox interpretation. But he has also stated that the Argentinian bishops’ interpretation—which Pope Francis recently said is correct—is still within the realm of orthodoxy in more rare “concrete” circumstances. cf. Vatican Insider, January 1, 2018 That is to say that Francis has not changed Sacred Tradition (nor can he), even if the ambiguity stemming from his pontificate has created a storm of confusion, and even if this “pastoral directive” does not stand the test. Indeed, Müller’s recent comments are likewise under fire now too. Then again, why did Pope Francis appoint “conservatives” as well? Cardinal Müller arguably held the second most powerful position in the Church as Prefect of the Congregation of the Doctrine of the Faith, and has been replaced by Archbishop Luis Ladaria Ferrer, an appointee to various positions in the Vatican by both John Paul II and Benedict XVI. Cardinal Erdo, who has a strong and public devotion to Mary, was appointed Relator General during the Synod of the Family. Cardinal Pell along with the orthodox Canadian, Cardinal Thomas Collins, were appointed overseers to clean up the corruption of the Vatican Bank. 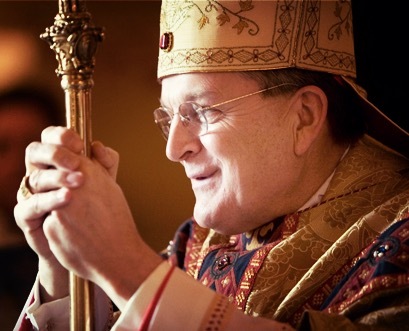 And Cardinal Burke has been re-appointed to the Apostolic Signatura, the Church’s highest court. I will not raise a hand against my lord, for he is the LORD’s anointed and a father to me. Every time the media spins another controversial (and often misleading) headline about Pope Francis (including, sad to say, Catholic media), I get a mailbag full of letters asking if I saw it, what do I think, what should we do, etc. This writing apostolate has now spanned three pontificates. Regardless of who is sitting in the Chair of Peter, I have consistently repeated what has been the long-standing Tradition and teaching of the Catholic Church, the edict of the Scriptures, cf. Heb 13:17 and the wisdom of the Saints: that we are to remain in communion with our bishops and the Holy Father, the rock on which the Church is built—for He is God’s anointed one. Yes, I can hear St. Ambrose shouting: “Where Peter is, there is the Church!” And that includes all those infamous, corrupt, and worldly popes. Who can argue with Ambrose when, 2000 years later, the Church and the deposit of faith remain fully intact, even if they have been assaulted at different times by the “smoke of satan”? It seems the personal foibles of the popes does not overwhelm Jesus or His ability to build His Church. First, the proper approach to the papacy is one of meekness and humility, of listening, reflection, and self-examination. It is to take the Apostolic Exhortations and Letters that the popes write, and listen for Christ’s directives in them. So many people write me saying, “But Francis is confusing people!” But who exactly is confused? 98% of the confusion out there is really bad and skewed journalism by people who are reporters, not theologians. So many are confused because they read headlines, not homilies; extracts, not exhortations. What is necessary is to sit at the feet of the Lord, take a deep breath, close one’s mouth, and listen. And that takes a little time, effort, reading, and above all, prayer. For in prayer, you will find a precious and rare commodity these days: wisdom. For Wisdom will teach you how to respond and react in this treacherous times, most especially when the shepherds aren’t shepherding very well. This is not to say that there is not genuine confusion and even heretical interpretations at this hour. Oh yes! It seems as though a false church is rising! There now exists opposing and contrary interpretations of Amoris Laetitia between some bishops’ conferences, which is astonishing if not sorrowful. This simply can’t be. The hallmark of Catholicism is its universality and unity. Nonetheless, in previous centuries, there were also times when vast portions of the Church fell into heresy and division over certain doctrines. Even in our times, Pope Paul VI was almost alone when it came to his authoritative and beautiful document on contraception, Humanae Vitae. Second, since when did assuming the worst of someone become acceptable? Here, the lack of immersion in the spirituality of the Saints is beginning to show in this generation. 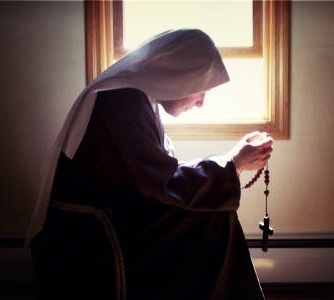 That spirituality, lived so vividly in France, Spain, Italy and elsewhere that moved the Saints to bear the faults of others with patience, to overlook their weaknesses, and instead, use those occasions to reflect on their own poverty. A spirituality that, upon seeing another stumbling, these holy souls would offer sacrifices and prayers for their fallen brothers, if not a gentle correction. A spirituality that trusted and surrendered completely to Jesus even when the hierarchy was in disarray. A spirituality that, in a word, lived, assimilated, and shone with the Gospel. It was St. Teresa of Avila who said, “Let nothing trouble you.” For Christ did not say, “Peter, build my Church,” but rather, “Peter, you are rock, and on this rock I will build my Church.” It is Christ building, so let nothing trouble you (see Jesus, the Wise Builder). Third, what if the Pope undertakes certain actions, even “pastoral” actions, that are scandalous? It wouldn’t be the first time. No, the first time was when Peter denied Christ. The second time was when Peter behaved one way with the Jews, and another with the Gentiles. And so Paul, “when [he] saw that they were not on the right road in line with the truth of the gospel,” corrected him. cf. Gal 2:11, 14 Now, if Pope Francis were to adopt a pastoral practice that in effect undermines doctrine—and several theologians feel that he has—it does not give us a license to suddenly blast the Holy Father with crude language. Rather, it would be another painful “Peter & Paul” moment for the Body of Christ. 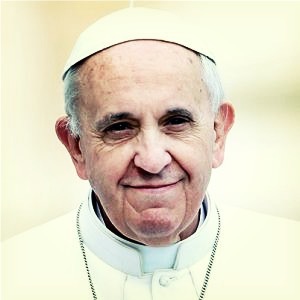 For Pope Francis is first and foremost your brother in Christ and mine. His welfare and salvation are not only important too, but Jesus taught us to make the welfare of others even more important than our own. Fourth, if you are afraid that “following Pope Francis” could lead you into the Great Deception, you are already deceived to a certain degree. For one, if the Pope is the “false prophet” of the Book of Revelation as some allege, then Christ has contradicted himself: Peter is not rock, and the gates of hell have prevailed against the faithful. 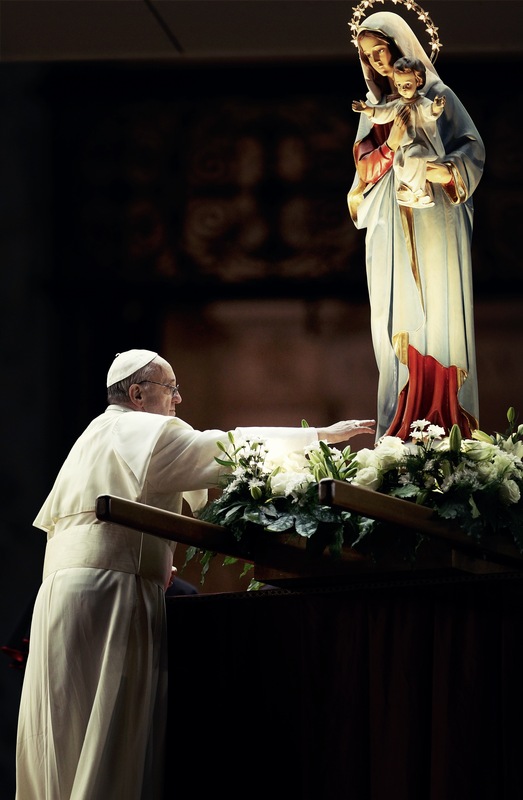 It is also of no little significance that nearly every authentic, approved, or credible apparition of Our Blessed Mother in the past century has called the faithful to pray for and remain in communion with the Holy Father. The approved apparition of Fatima, for instance, included a vision where the Pope is martyred for the faith—not destroying it. Would Our Lady lead us into a trap? 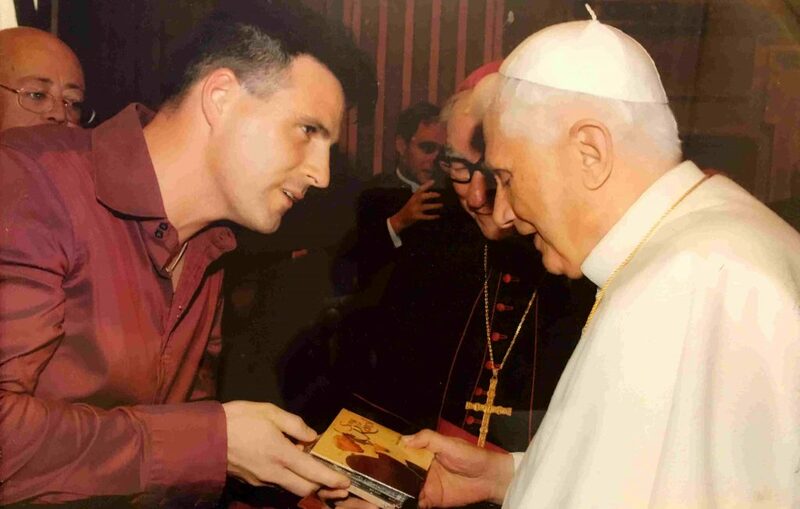 When I met Pope Benedict several years ago, I shook his hand, looked him in the eye and said, “I am an evangelist from Canada, and I am happy to serve you.” cf. A Day of Grace I was happy to serve him because I knew, without a doubt, that the office of Peter is there to serve the Church, who is to serve Christ—and that Peter was God’s anointed one. NOTE: Some subscribers have recently reported that they are not receiving emails any longer. Check your junk or spam mail folder to make sure my emails aren’t landing there! That is usually the case 99% of the time. Also, try resubscribing here. 2. ↑ This is not to say that one must remain subject to abuse or an abusive situation but rather to honor one’s father in the best way possible, whether it is through prayer, forgiveness, and even speaking the truth in love.